Our beautiful and wonderfully unique mother and grandmother, Tamara Irene Dayton, passed away on November 22, 2018, surrounded by her loving family. She was 76 years old. She was born on March 20, 1942, in Tremonton, UT to Dwight Wayne Nicholas and Irene Jane Holland. She was raised on a farm by her Grandpa and Grandma Holland learning the value of hard work. She had Aunts and Uncles that treated her like a daughter as well as cousins that treated her like a sister. She was sealed to Eddie E. Dayton on August 2, 1968, in the Logan Utah Temple. The marriage that “would only last six months” recently celebrated 50 wonderful years. They made their home in Cokeville, WY, raising their family of three children, Jennie (Cary) Robinson, Mindy (Beau) Williamson, and Nicholas (Derian) Dayton. The one thing Tamara cherished was her children, 11 grandchildren, 2 great-grandchildren, and 2 more joining in a few months. She was most at home whenever she was surrounded by her family where she could watch and hear them talk, laugh, and play. She loved them all. Tamara is survived by her husband Eddie, all of her children and grandchildren, sister-in-law Shannon Nicholas, sister Kathryn (Bill) Hughes, brother Richard (Lori) Nicholas, and brother-in-law Hal Hawkins. She was proceeded in death by her parents, brother Dwight Nicholas, and sister Barbara Hawkins. Tamara belongs to the Church of Jesus Christ of Latter-day Saints, having faithfully full-filled many callings as well as being a true neighbor and friend. Wherever she happened to be, Tamara always loved to look around “in case she saw someone she knew.” She endured many physical trials with the illness she did not like talking about, showing a true fighting spirit right to the very end. Tamara was full of sass with an overwhelming touch of personality and fun who had a vision of what she wanted to accomplish. She was blessed with a beautiful soprano voice that she freely shared in many choirs and countless funeral and wedding celebrations. She enjoyed singing Western songs with George Chournos and “The Trio” with a constant flare to “jazz it up.” She enjoyed a Western lifestyle filled with horses, camping, and hunting. 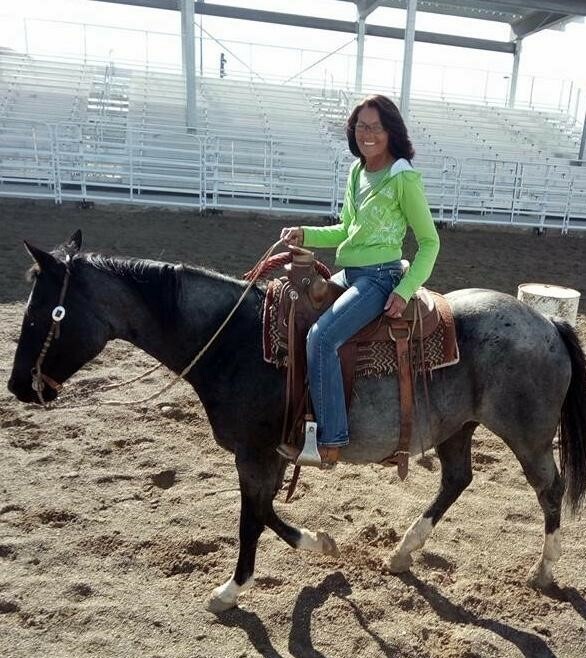 Tam and Ed shared many great memories riding horses in the Wyoming back-country where they could hunt and “enjoy the scenery.” She was an avid snow skier having made sure her children loved the sport as well. Tamara taught herself woodworking and blessed many with pine pole cribs as well as doll and full-sized beds. She kept a meticulous home and yard often extending a helping hand in the yard-care for others. Please join us in a “Celebration of Tamara’s amazing life” on Monday, November 26, 2018, 11:00 a.m. at the Cokeville Church of Jesus Christ of Latter-Day Saints, with interment at the Cokeville cemetary. Friends may visit family Monday from 9:00 a.m. to 10:30 a.m. at the church.